Setting the record straight on rumours regarding Pakistan Tehreek-i-Insaf (PTI) Chairman Imran Khan’s alleged third marriage, a statement issued by the party on Sunday claimed that Khan had proposed marriage to Bushra Maneka, believed to be a respected Pir (faith healer) in Pakpattan. Explore: What brings PTI chief to a remote town? According to the statement issued by the Chairman’s Secretariat, Maneka has “asked for time to make a final decision after consulting her family, including her children”. Bushra Maneka, who is in her 40s, is from the Wattoo clan, of which the Manekas are a sub-clan. She was married to Khawar Farid Maneka, a senior customs official in Islamabad. The notification added that the reports had put an “unacceptable burden” on Maneka and Khan’s children, who learnt of the incident though the media. The secretariat has requested privacy for the parties concerned in the meantime. Rumours of Khan’s alleged third marriage began circulating on Saturday after The News published a report claiming that the PTI chairman had married a woman, whom he regarded as his spiritual leader, in a secret ceremony on Jan 1. Although the report was denied by various PTI officials, including chief whip Shireen Mazari, Khan’s Political Secretary Awn Chaudhry and PTI Spokesperson Naeemul Haq, Mufti Saeed who allegedly performed the ceremony was reluctant to comment on the matter. Maneka’s son appeared on Geo News on Saturday night to deny the rumours of her marriage to Khan. This is not the first time Khan has been linked to someone from the Maneka family. 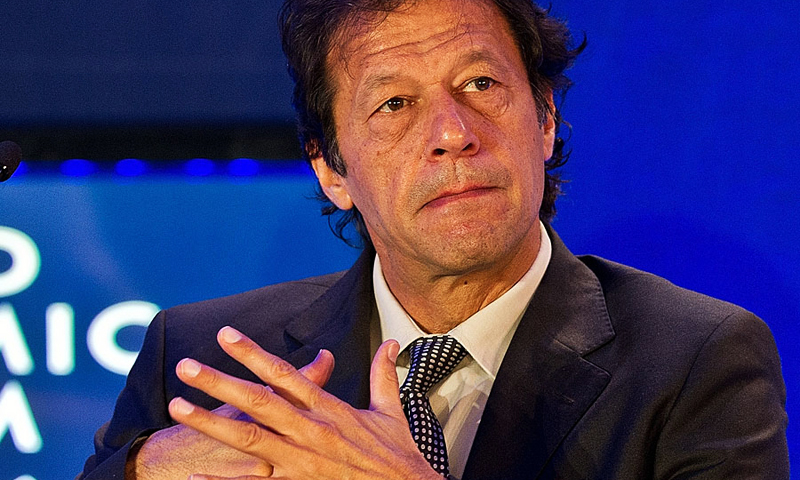 In July 2016, reports suggested that the PTI chief had married a woman belonging to the Maneka family in London, with sources claiming his wife’s name is Maryam. The reports were denied by the PTI spokesperson and Khan himself, who termed the rumours as “absolutely baseless”.